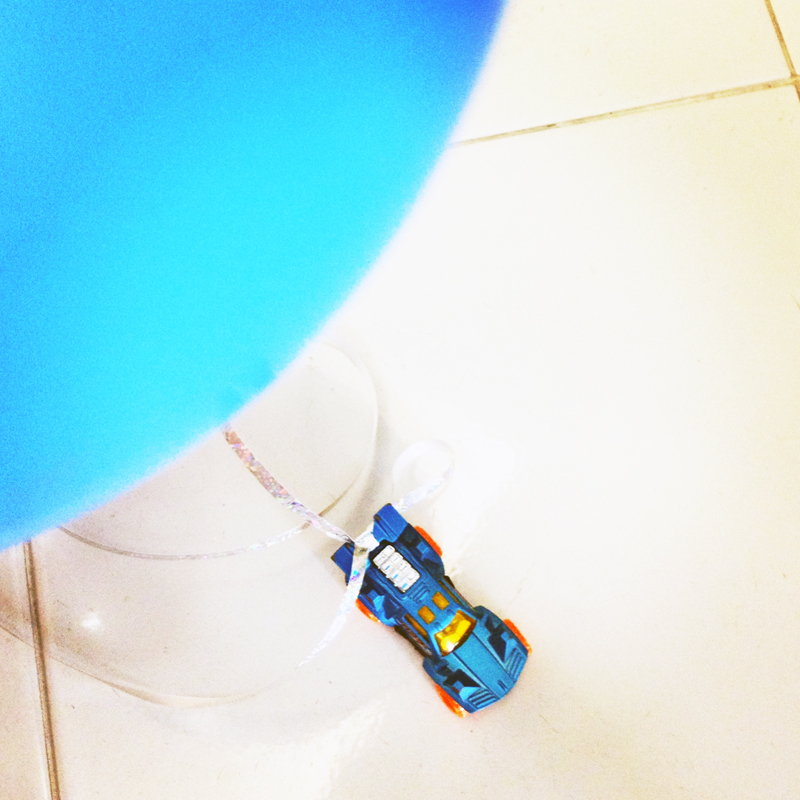 As my son was playing with a helium balloon yesterday, he asked me whether I could tie his car onto the balloon. He wanted to see if it would fly. I said yes and played along. I said, "oh, what will happen if it flies up?" He frowned and told me to be careful to let it go in the house otherwise he might lose his car and he would be very sad. I tied it and gave it to him. The car fell to the ground and he didn't lose his car. He then happily took the car and balloon and ran to his room to play. I love it when the boys play with their toys and ask questions out of curiosity. Sometimes they even come up with things that have never crossed my mind. My older son asked me, "What if we were able to tie 100 helium balloons to a bouncy castle and bounce inside it while it floats up in the air. Wouldn't that be cool, Mum?" Yes, that would be very cool indeed, son.